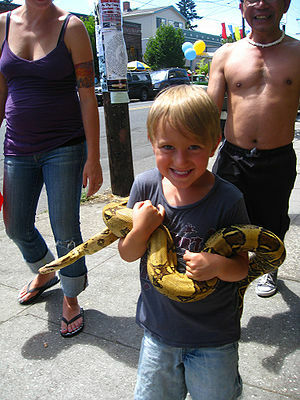 Do you have a pet lizard, snake or other reptile? Does your pet turn his/her head up as though searching the sky, gazing at the stars? This could be a sign of a problem with the central nervous system. Stargazing could be caused by a toxic substance, an injury, bacterial, viral (particularly IBD or Inclusion Body Disease) or parasitic infection or inability to maintain body temperature. IBD is a common viral infection in constrictor snakes such as Boa Contrictors or Pythons. These snakes may be carriers of the virus without showing symptoms for many years. Other signs of IBD can be refusing food, weight loss, regurgitation, abnormal shedding, clogged nostrils, mouth rot (stomatitis), pneumonia, tumors, leukemia. Reptile Magazine adds that other neurological signs that may appear are progressive loss of motor function usually in the back end (pythons), which may lead to bloating and constipation and both Boas and Pythons holding their tongues out longer when flicking. IBD may be spread through a snake’s bodily fluids. A pregnant snake can transmit the virus to embryos. The snake mite is also being considered as a vehicle for transferring the virus. Diagnosis is made through a blood test and possibly, a tissue biopsy. There is no cure for IBD. Treatment is supportive including force-feeding. Secondary bacterial infections may occur and can be controlled with the use of DMG (dimethylglycine) for immune support and relief of symptoms. Stargazing in lizards may result from the atadenovirus (ADV or adenovirus). Stargazing caused by bacterial or parasitic infections can be successfully treated if caught early. It’s very important to keep a reptile’s habitat clean, feed the correct diet and avoid stress. 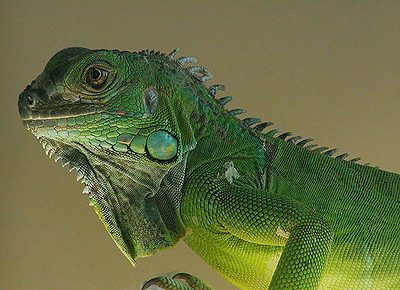 Seek the advice and care of a reptile veterinarian.